Interactive Map Location of Dragon Ruins in [[Torren. 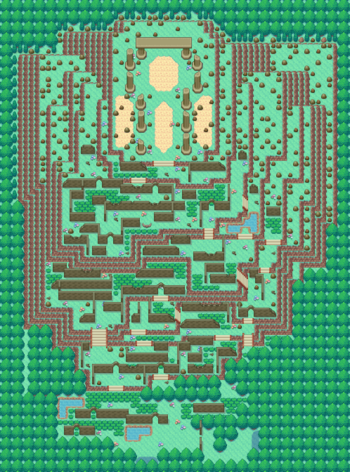 The Dragon Ruins is a location in northern Torren that branches off from Route 13. It is rumored to be the location where Reshiram, Zekrom, and Kyurem were created during the war that plagued the Unova region. Navigate around the walls of the ruins and proceed north up the first two sets of stairs. Continue north through the walls of the ruins and head east through the grass. Proceed to travel south and then east, then go up the set of stairs to the east. Go up the next set of stairs leading west and then surf across the pond to the north. Continue up the next set of stairs leading west and then proceed along the path through the grass leading west and then southwest. Travel west around the ledge, go north through the first archway, and then proceed into the patch of grass to the north, maneuvering around the ruin walls to continue to the east. Continue through the next archway and then go up the next two sets of stairs to continue with the storyline. 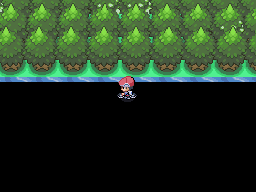 After defeating Taen and gaining the ability to use Tesseract, exit the ruins to the right to Route 14. After speaking with Orion and Gail in the Utira Library, return to find Taen in the same spot as when the player fought against him with Nora. Watch the scene that unfolds before battling Taen for the final time in a Multi Battle with Gail. After Taen is defeated, battle and capture or defeat the rampaging Zygarde. Once the dialogue has concluded, Reshiram and Zekrom enter their stone forms on either side of the player, allowing them to be acquired. Exit the Dragon Ruins as desired, as this marks the end of the Taen Quest plot line. An Ace Trainer appears near the entrance of the ruins after the player defeats Taen for the fourth time in the Perfection Base. He is able to teach several Dragon-type moves to the player's Pokémon. Full Restore ×3 At the dead end west of the stairs before the broken columns. Delta Bergmite can be encountered east of the ritual altar after obtaining the ability to use Tesseract. Zygarde is battled after defeating Taen during the Taen Quest. Reshiram and Zekrom can be found in their Light Stone and Dark Stone forms after the Taen Quest has been completed. No battle is required to acquire them. In some cases the rock containing Zekrom is not solid and will need to be interacted with on top of itself as opposed to interacting with it in front of it. Nora will work as the player's partner during the Multi Battle against Taen. Gail will work as the player's partner during the Multi Battle against Taen.